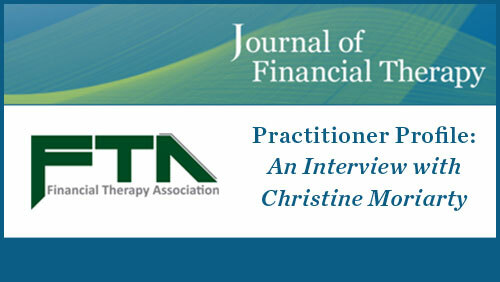 Christine D. Moriarty has worked with thousands of people to create financial peace of mind. She is often seen in The Boston Herald as a featured financial planner, and has shared her insights on families and money with publications including USA Today, Good Housekeeping, the Boston Globe, Better Homes and Gardens, Fidelity Focus Magazine and The LA Times. Christine’s focus is on helping people create both financial stability and personal serenity – even within long term relationships. She often works with businesses and professional organizations providing seminars for their employees and customers. Her talks provide not just critical information, but also a powerful way to change lives. She has extensive public speaking experience including regional financial planning conferences, weekend retreat centers, on-site employee groups, and national trade conferences. or complete our online contact form. SBA Financial Services Advocate of the Year Christine Moriarty named Vermont Financial Services Advocate by the Small Business Administration (SBA).